Its been a while since my last post, but I’ve been busy at customers…. I know, booooring, but unfortunately I’m not filthy rich . At one of my recent jobs, I came a cross a “weird” question from a customer. They have ALOT (+200.000 object) of none licensed users in their tenant, and they where all visible in their SfB (Skype For Business). Meaning, when you searched for, lets say, Thomas….. They would get way more then they asked for. So what to do? All the non licensed users where synchronized from a different tenant (a customer tenant), and needed to be there. Exchange Online wasn’t a problem. Since they don’t have a license, they don’t get to go in the GAL. SfB, a whole other thing. So after doing a whole lot of research we came up with this solution, which worked, and that i would like to share with you guys. I will be using my test tenant for this, show and tell . Sit back and let nature, or in this case, AADConnect and the Managed Folder Assistant, take action. Seriously, have a little patients, in this particular tenant, it took about 48 hours for the changes to take effect. So knowing this, you should be able to do a short script to add this information to the users attributes. Seamless Sign On, Kerberos roll over–Wait what?? UPDATE: So happy to see that Microsoft has heard our prayers. They are working on a solution to automate the rollover in Azure. Read more about it HERE. So, you’ve installed Seamless Sign On, and its been running awesome, by chance you logon to your Azure tenant, just nosy browsing around, improving your Azure skills, and suddenly you find this……. Kerberos Roll Over, wait what? erhm… What?…..
First of, when I saw this, I thought it was a joke, but after thinking it over, it made sense….in a weird kind of way. 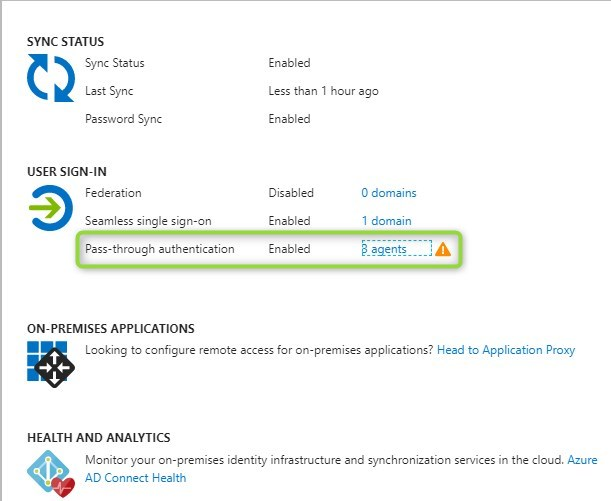 First of, when you install AADConnect and enable Seamless Sign On and Single Sign On, you get an extra auto generated Computer object in your AD called AZUAREADSSOACC. Since this is a “dead, virtual” object, it is not able to create new keys automatically, so for at best practice, MS recommends to do a manual “Roll-Over” every 30 days. I will explain how to do this in a short while, first of, cast your vote HERE, for the feature of AADConnect to do automatic Roll-Overs….Awesome, Thanks. First of, connect your Powershell ISE to your Tenant. #This command should give you a popup to enter your tenant’s Global Administrator credentials. #This command provides you the list of AD forests (look at the “Domains” list) on which this feature has been enabled. # When prompted, enter the Domain Administrator credentials for the intended AD forest. #This command updates the Kerberos decryption key for the AZUREADSSOACC computer account in this specific AD forest and updates it in Azure AD. And you’re done…. AADConnect welcomes you back in 30 days . Seriously, save it in a .psd1 file, for easy running, next time. I’ve seen some bloggers doing articles where they save Global Tenant admin’s and corresponding passwords in text files, encrypted, not encrypted and so on, in an attempt to automate this. Needles to say, this is a MAJOR SECURITY RISK, and cannot be recommended. Better yet, go cast your vote, so that MS puts this feature inside AADConnect. A few, well used App’s are on the path to retirement. SfB (Skype for Business) for the Windows Phone is retiring May 20th 2018. Microsoft has decided not to develop the Skype app for windows phones anymore. OWA app for IOS and Android The much used, and loved mail app, is also retiring on May 15th 2018. More info HERE. Alternatives for the OWA App, is of course Outlook, for either IOS or Android. I’ve been using Outlook for both platforms, for some time now. I must admit, its getting really good. For the first couple of years, it was terrible, but they are definitely getting there. In my previous articles I’ve written about Seamless Sign On, and for good reason. It’s an absolutely awesome feature . For small and midsize companies wanting to go “up” the Cloud road, not having Exchange, SharePoint and so on, with the high cost, tons of expensive maintenance in their Onprem environment. Could be a possibility, but why would you force your users to login twice? Absolutely, IF you want to maintain 2 ADFS server, 2 WAP servers and you AADConnect server. ADFS is an awesome feature. But it leaves a fairly large footprint in your infrastructure, especially if you want high availability. Maybe not the best solution for the smaller to midsize company’s. YESSSS…. You guessed it…. Seamless Sign On to the rescue. First of, I’ve never had an AADConnect service break down, its very stable (Big thanks to the guys at Microsoft ). Second, if the server you’ve installed AADConnect on crashes, well users won’t be able to logon. But why bother getting stressed about it? Just make it High Available . 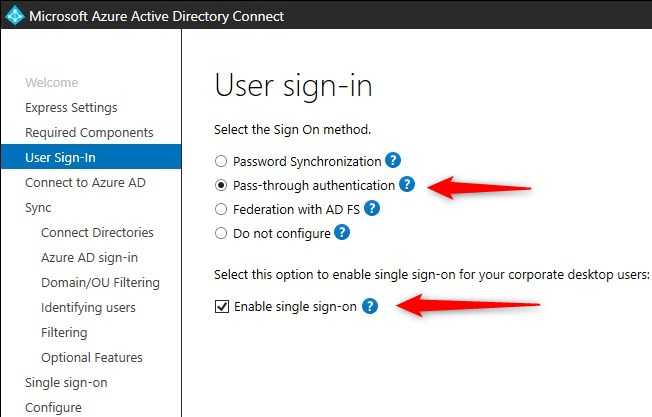 With the newer versions, you have the option to install AADConnect Authentication Agent. First of, a little about my test setup. I have 2 Domain Controllers and one File server. AADConnect is installed on DC01 (I won’t go into the installation process of AADConnect), and I want to install the AADConnect Authentication agent on my File Server. It’s a Next –> next, finish installation, so no need to document that. After a short wait, the second “agent” will popup in your view. Now, your Seamless sign on setup as HA…. And yes, it really is that easy. In my setup I have 2 DC’s, so if the AADConnect DC crashes, the Authentication agent on the File server, still has authentication against the second DC. The “downside” to this, is you’ll need at least 2 Domain Controllers, for this to work, but with multi-role servers today, I don’t see this as any issue. So, lets get to it and start looking at the configuration. It doesn’t matter if you already have Azure ADConnect installed, or its a new installation. Its the same settings for both scenarios. First of, start the AADConnect wizard. 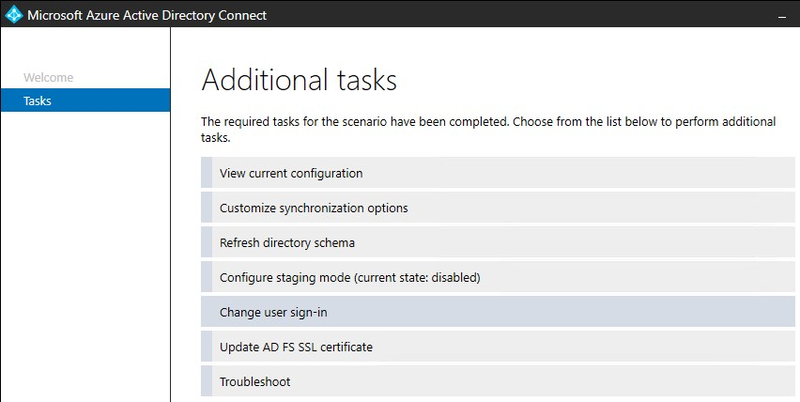 If you install AADConnect for the first time, the below is what you need to configure. If you already have AADConnect running, this is what you need to configure. On a side note, I would always recommend using OU filtering, so that you only synchronize what you need, and not all objects from AD. It will only look messy and confusing. After configuration is done, you need a little more work on the client side. You need to set up GPO’s to allow Azure to receive the Kerberos tickets for Authentication before it works. So you need your browser to trust some sites. 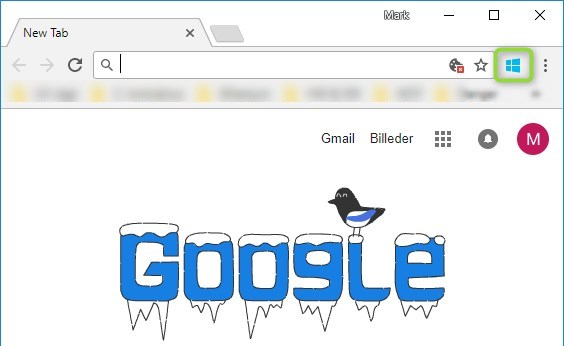 Right click on the the logo and copy the link address. Copy the “app id”, from the last dash, to the questionmark, and paste it on a new line. 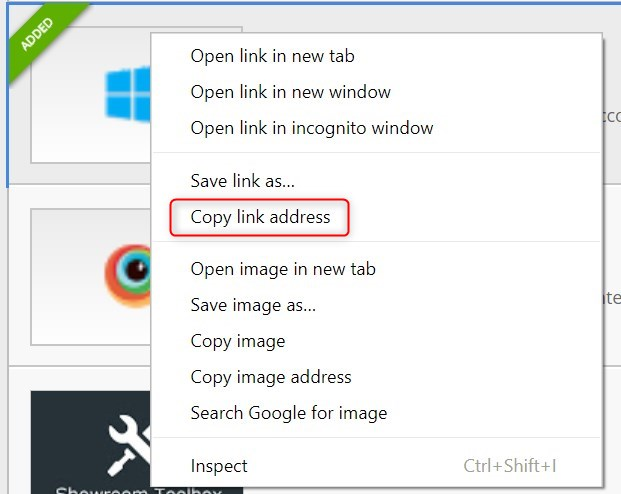 Now you need to format the address for the Chrome GPO. Save the GPO and link it to the OU where your computers are located, and you’re in business. Try and click on it , or just go to https://portal.office.com. I my opinion this as an awesome feature. Some of the smaller customers that I have helped, would definitely have benefitted from this, instead of an ADFS infrastructure, but that’s just me . I will list my view on pros and cons here. In relation to my very first article, problems can occur. I had a question from a colleague, about a customer, who was using Office 365 and had a local AD. They where not using AADConnect, and would like to do so. Challenge no.1, how to “match” the AD users with the Office 365 Cloud users? You can see more about how to do that in my first article here. Matching up the users isn’t the biggest problem, the biggest problem is all the things that can go wrong, and you end up with sync problems, mails about UPN mismatch and so on. I’ve come across this issue a few times before, and haven’t found one solution to the problem, but gathered information from 3-4 other articles and sites, mixed in a delicious cocktail of my own experience. That’s why I decided to write-up my own solution to the problem. Once this has happened, you will need to do a little bit of work to get the accounts merged. I assume you are familiar with signing in to Office 365 via Powershell, you’ll need it in a minute 😊, if not, I’ve included the few steps to get going. This is the simple logon “script” I use. Logon with your Global Admin credentials to your tenant. First of, if you have set up your AADConnect with OU filtering, your fine, if not, create a new OU, that is NOT synced with your tenant. Your synced user should now be in the deleted folder in Office 365. You need to delete it from the recycle bin. Next, we need to run a series of Powershell cmdlets, to extract the ObjectGUID from the AD user and change the ImmutableID of Office 365 user with the result. 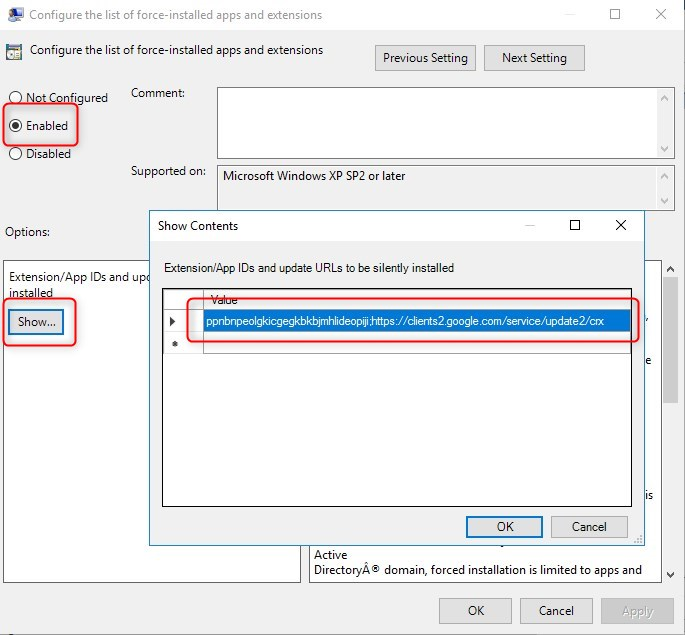 First of, we need to change the UPN of the cloud user, from tu05@omg365.dk to the tenant domain tu05@omg365.onmicrosoft.com, if you don’t do this, you’ll receive an error, later on, when changing the ImmutableID. Next, we need to find the ObjectGUID of the AD user, convert it to an ImmutableID, and assign that ID to the Cloud user. So now, we have ”prepared” Office 365 to Hard Match the AD user with the Cloud user, but before we do so, we need to change a few things on the AD user. Be patient, it can take a while for the change to show up. So, is there an easy way to “merge” the two? Yes, but you need to plan it well, and have all the settings of your users correct. I’ll describe it in the following steps. 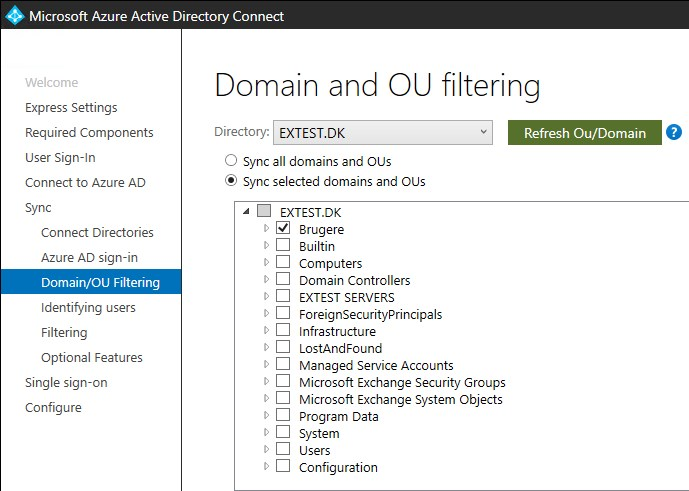 I already installed AADConnect, and made sure to use OU filtering, meaning, that I only synchronize certain OU’s to Office 365. In my case, the “Users” OU is synced. The OU “Not synced”, is were my users that I want to sync are located. If you have a “local” domain (in the old days, it was fairly normal that the AD domain was .local .lan or something not internet routable.) You need to add your SMTP domain as an UPN suffix. 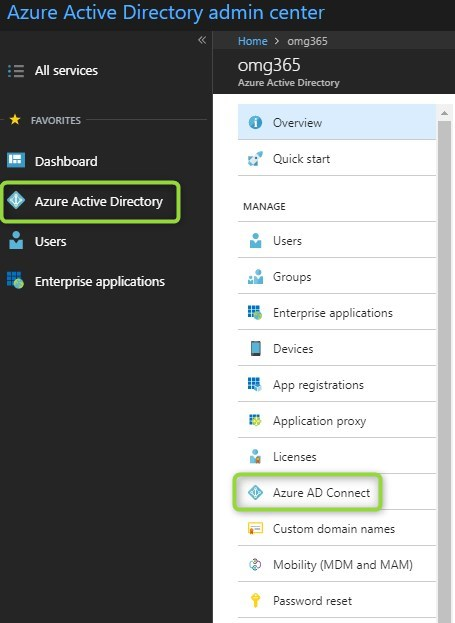 Open “Active Directory Domains and Trusts”, takes properties and add the domain. Now were ready to start merging users. You might want to test with a made-up user first, but otherwise its just start moving users to the synced OU and run AAD Sync.